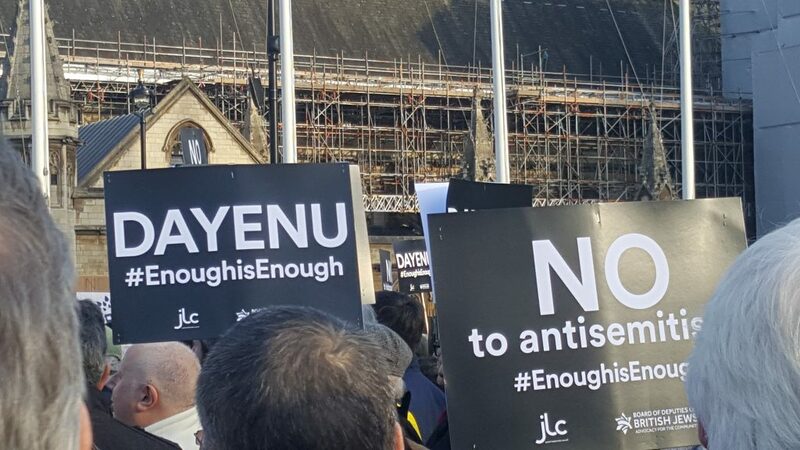 Hundreds of people rallied in Parliament Square on Monday evening, to express their revulsion at anti-Semitism, particularly in the Labour Party. 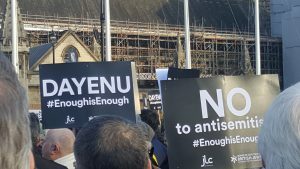 The protest was triggered by what is perceived as the “systematic failure” of Labour Party leader Jeremy Corbyn to condemn anti-Semitism within his party. Jonathan Goldstein, Chair of the JLC, chaired the rally, introducing the speakers and thanking notable attendees, including Sajid Javid, Secretary of State for Communities and Local Government, for supporting the event. 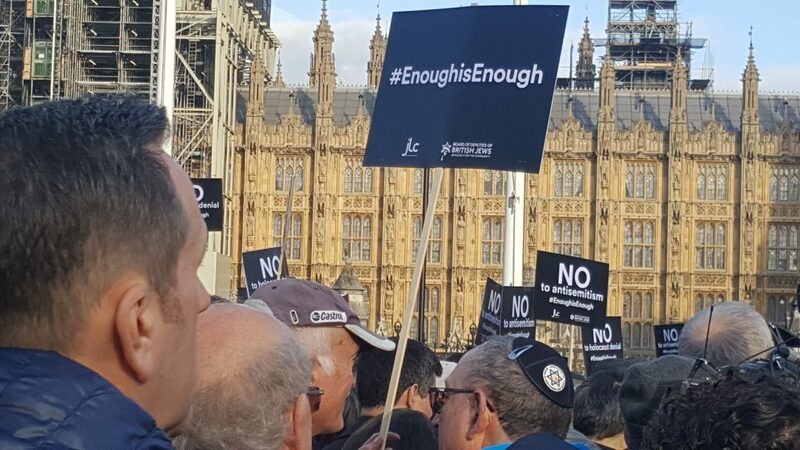 Speakers included Jonathan Arkush, president of the Board of Deputies, and Claire Kober, outgoing leader of Haringey Council, in North London, who said that she is sick and tired of the ongoing anti-Semitism she has encountered, the victim-blaming and the toll it has taken on her Jewish friends and neighbors. She said that she is “aghast” that former Mayor of London Ken Livingstone is still a member of the Labour Party, following ongoing allegations of anti-Semitism over many years.